Urticaria (commonly known as Hives) are pink or red itchy rashes, that may appear as blotches or raised red lumps (wheals) on the skin. The wheals may be circular, oval-shaped or annular and vary in size. The condition can afflict any part of the body, but is common to the trunk, throat, arms and legs. When hives first start to appear, they can be mistaken for mosquito bites. Swellings usually disappear within minutes to hours in one spot, but may come and go for days or weeks at a time, sometimes longer. 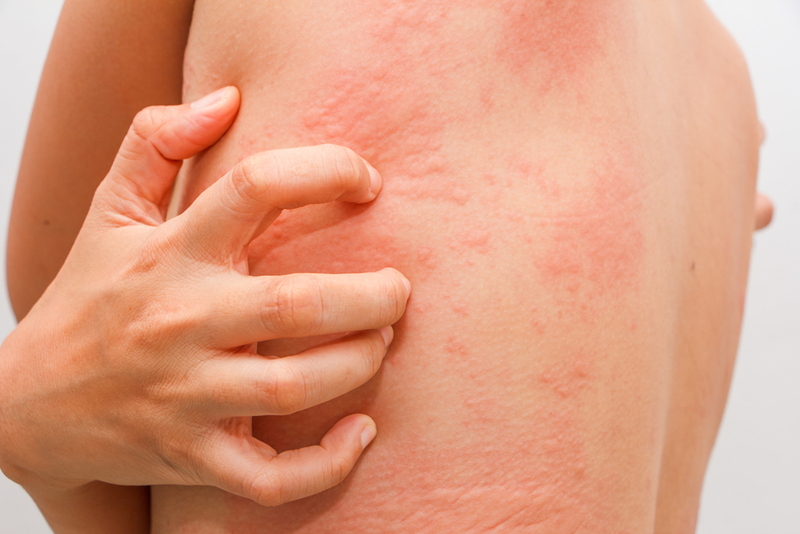 Chronic Spontaneous Urticaria (CSU) is defined when an uncontrolled and unpredictable occurrence of hives and itch appear without an obvious cause for more than 6 weeks. The purpose of this study is to determine the efficacy and safety of Ligelizumab in adolescent and adult patients aged 12 and over with chronic urticaria who remain symptomatic despite treatment with H1 antihistamines. This study requires concurrent use of H1 antihistamines.